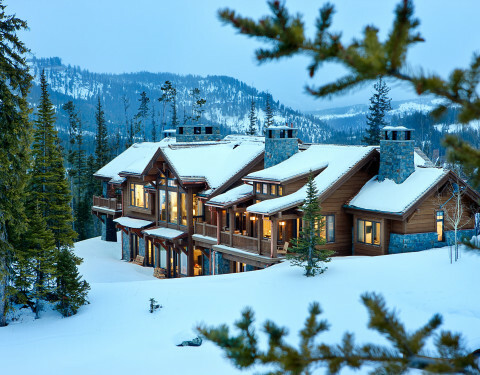 Offering a new aesthetic to a traditional Montana ski lodge. Approaching this beautiful mountain home is a feast for the eyes. The allure and stunning beauty not only comes from the minute details of the home and landscaping but from the grand vistas that encompass it. Be prepared, the moment one steps over the threshold all perception of what a typical mountain home can be changes in an instant. A perfect explanation of what is presented is modern meets mountain. 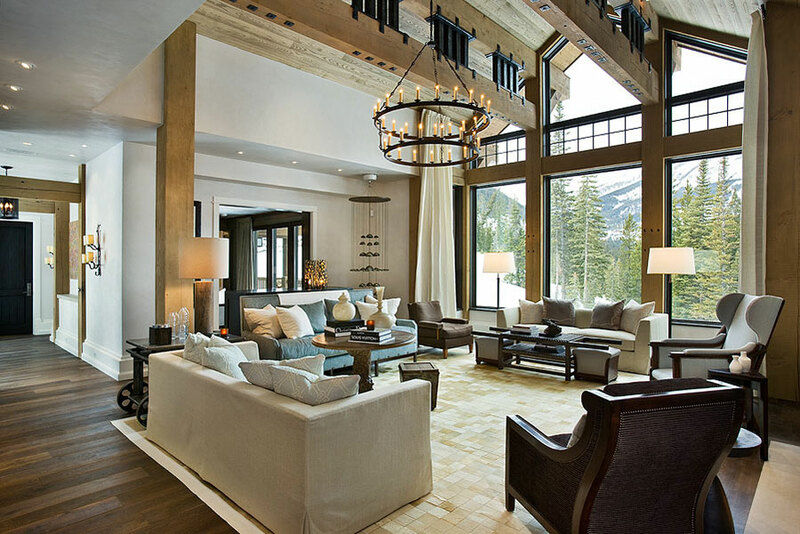 The elegant, simply unique home features a fresh approach to mountain living. Consistency and continuity are the fundamental features of this special home. 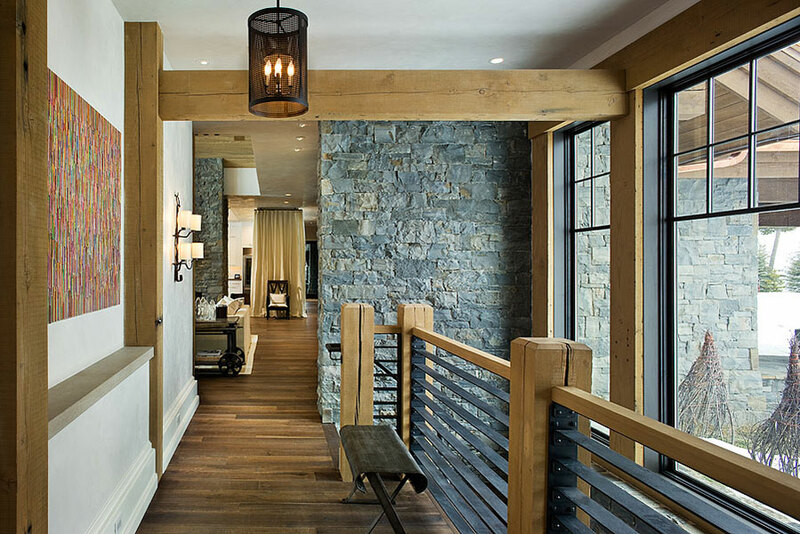 Certain elements run throughout the interior; engineered wide oak flooring, white horizontal plank paneling, and gray fresh split stone adorn the walls and limestone countertops in various rooms. 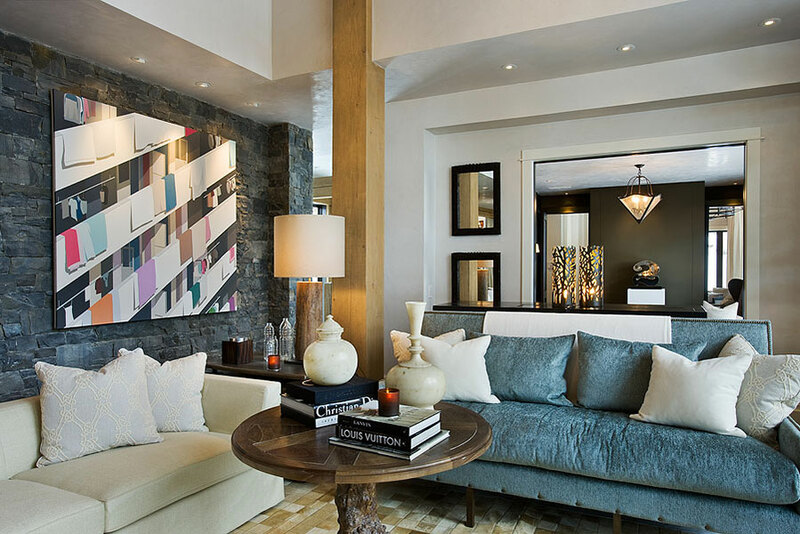 However, as your eye follows the quiet, clean lines they are intermittently interrupted with a dash of splash here and a pop of color there that are placed precisely in the right spots. The right spot for any guest to be is in the heart of the home. Simply sit in the kitchen at the large informal center island and enjoy the sights, sounds, and smells as the casual cook or serious chef utilize the top of the line commercial grade appliances. If the hustle and bustle of the kitchen is not your style, wander over to the quiet, calm dining area that caters to each intimate affair hosted there. Separating the two areas and within easy reach is an all heart redwood custom built wine room that is stocked full of delicious wines. After a satisfying meal family and friends can continue to share their time together in a variety of spaces throughout the home. Each space is tastefully decorated to make all feel welcome. Find a place to relax in the plush furniture and fabrics while enjoying the soft, warm glow emanating from every fireplace. The beauty of this home is how it seamlessly brings the outside in. 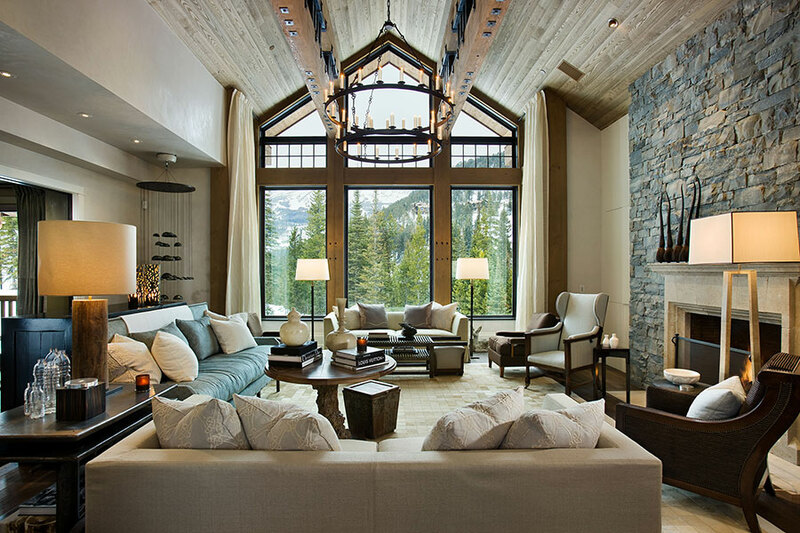 However stunningly chic the interior is, it is the way the windows frame the world unfolding before your eyes. Indulge your senses in the buffet of beauty that makes up Big Sky and the surrounding area. From the lure of Lone Peak and the lodge pole pines that stake their place to the rushing rivers that flow by. To the moose, elk, and bear that find their space there is proof, once again, in the consistency of nature…both inside and out.